Indian Metal-cutting Machine Tool Exhibition or IMTEX 2019 is an event by Indian Machine Tool Manufacturer’s Association (IMTMA) showcasing machine tools, metrology and current trends in the tooling industry. It is a flagship event for the Indian metal cutting industry. 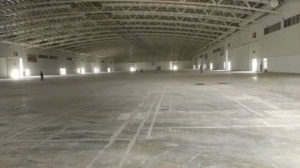 This year, IMTEX was held at Bengaluru International Exhibition Centre (BIEC), a premier and spacious venue in Tumkur. Saahas Zero Waste is a social enterprise offering integrated waste management services to bulk waste generators in South India. The company was registered in June 2013 to offer professional services to Corporates, Apartments and Institutions and is empanelled by the BBMP. This year we partnered with IMTEX to support the organisers execute a Zero Waste event. As sustainability becomes increasingly accepted as a concept within organizations and communities across the nation, the idea of zero waste events is also gaining acceptance. A zero waste event is one that is organized sustainably and looks closely at the entire cycle beginning from waste prevention, reuse and finally, recycling of all waste generated from the event. Over a week, IMTEX 2019 saw over 1 lakh visitors from all over the world; eager to display and procure tools but also intrigued by our stall and products at the event. 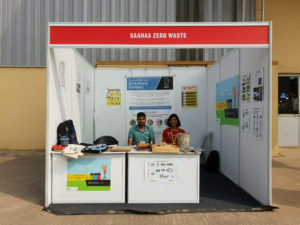 The Saahas Zero Waste stall at IMTEX 2019. 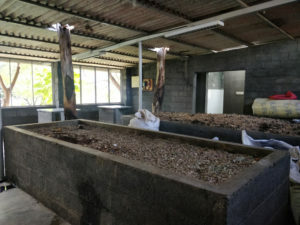 The large number of visitors also resulted in large volumes of waste being generated. This included food waste, dry waste and waste on account of setting up and dismantling of stalls. On-site wet waste management units at BIEC operated by SZW. Segregation at source was minimal and there was considerable littering around the premises so there were many challenges. 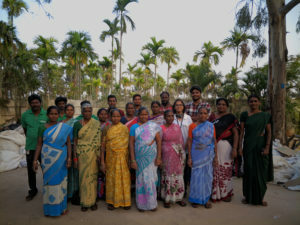 We had a big team of 40 who worked round the clock for 20 days. The end result was that we were able to recover resources from a whopping 250 tonnes of waste. The waste was transported through 150 trucks to our Material Recovery Facility. At the MRF, our field team took over to further sort and aggregate the waste. About 30 different waste categories were sent to different recyclers. Through this intensive endeavour and despite the obstacles faced along the way, we managed to recycle 99% of the total waste generated, and prevented 484 metric tonnes of greenhouse gas emissions. That’s the equivalent of removing 102 vehicles off the road. The SZW team that worked over 20 days to collect, process and segregate the waste. EPR: Are the Companies Ready? We provide end-to-end waste management services based on the principles of circular economy. We handle waste sustainably & responsibly for MNCs, tech parks, residential communities and other bulk generating organizations and institutions. Are you a bulk waste generator? Connect with us to ensure that your brand becomes zero waste to landfill.